i. Mokshagundam Visvesvaraya's birthday is celebrated on 15 September as Engineer's Day. 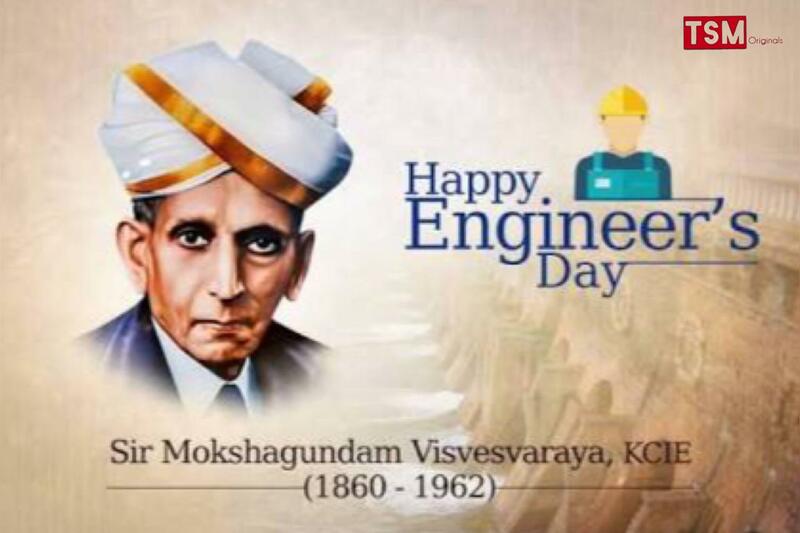 Fondly referred to as Sir MV, M Visvesvaraya was a world-renowned civil engineer who was a master of irrigation design. He was also referred to as the father of engineers by many. ii. The bridge, among M Visvesvaraya's most notable projects, is a representation of the Krishna Raja Sagara Lake and dam (in Karnataka). In 1924, Sir MV designed the Krishna Raja Sagara Lake and dam, the largest reservoir in India at the time, and oversaw the construction of the project. The dam is known to have provided drinking water for several cities. i. The festival of Nuakhai is being celebrated in Odisha. During this harvest festival of western Odisha, new produce Nabannis offered to presiding deities. After offering the Nabann, people relish different types of delicacies prepared from the newly harvested crop. ii. The Nuakhai Juhar is a major ritual of the festival, during which greetings are exchanged with friends, relatives, and well-wishers. i. The Prime Minister, Narendra Modi, launched the ‘Swachhata Hi Seva’ Movement, to boost nationwide public participation in the Swachh Bharat Abhiyan, and catalyse the fulfilment of Bapu’s dream of a Clean India. ii. The Swachhata Hi Seva movement aims at generating greater public participation towards Swachhta. It is being organized in the run-up to the fourth anniversary of the Swachh Bharat Mission, on October 2nd, 2018, which will also mark the commencement of the 150th year celebrations of Mahatma Gandhi. i. India and Serbia signed agreements on cooperation in plant protection and plant quarantine and on-air services, following the talks between Vice President Venkaiah Naidu and Serbian President Aleksandar Vucic. ii. The two sides also agreed to expand their bilateral cooperation, especially in the areas of economic and cultural relations and join hands to fight terrorism. India and Serbia are celebrating the 70th anniversary of the establishment of diplomatic relations between them. · Serbia Capital: Belgrade, Currency: Serbian dinar. i. The International Day of Democracy is observed globally on 15th September. It provides an opportunity to review the state of democracy in the world. The theme for IDD is 'Democracy under Strain: Solutions for a Changing World'. ii. The Day was proclaimed by the UN General Assembly through a resolution in 2007 to strengthen national programmes devoted to the promotion and consolidation of democracy. The day was observed for the first time in 2008. · Antonio Guterres is the Secretary-General of the United Nations. · The UN Headquarters in New York, United States. i. Inflation based on wholesale prices eased to a four-month low of 4.53% in August on softening of prices of food articles, especially vegetables. The Wholesale Price Index-based inflation stood at 5.09% in July and 3.24% in August last year. ii. Data released by the commerce and industry ministry showed a 4.04% decline inflation in food articles in August compared with a 2.16% fall in July. The wholesale price index is an index that measures and tracks the changes in the price of goods in the stages before the retail level. i. The government has announced an array of steps to check the rising Current Account Deficit (CAD), and the fall in rupee. ii. The government has decided on a number of steps to contain CAD, which widened to 2.4% of the GDP in the first quarter of 2018-19. · Reviewing of mandatory hedging condition for infrastructure loans. · To permit manufacturing sector entities to avail of External Commercial Borrowing (ECBs) up to $50 million with minimum maturity of one year, instead of the earlier limit of three years. · Removing restrictions with respect to FPI exposure limit of 20 per cent in corporate bond portfolio to a single corporate group or company or entity and 50 per cent of any issue of corporate bond. · Removal of withholding tax on rupee-denominated bonds known as Masala bonds issued till March 2019. · Removing restrictions on Indian banks, market making in masala bonds, including restrictions on underwriting of masala bonds. · Relaxation for Foreign Portfolio Investment (FPI) and curbs on non-essential imports. i. The Reserve Bank to purchase government securities (G-secs) worth Rs 10,000 crore on September 19, a move aimed at inducing liquidity in the system. The purchase of the government securities will be done through Open Market Operations (OMO). ii. When the RBI thinks there is excess liquidity in the market, it resorts to the sale of securities, thereby decreasing the rupee liquidity. Similarly, when the liquidity conditions are tight, it may buy securities from the market, thereby increasing liquidity in the market. i. India’s overall exports (Merchandise and Services combined) in April-August 2018-19 (as per the RBI Press Release) are estimated to be USD 221.83 Billion, exhibiting a positive growth of 20.70% over the same period last year. ii. Overall imports in April-August 2018-19 are estimated to be USD 269.54 Billion, exhibiting a positive growth of 21.01% over the same period last year. i. Union Minister of Textiles Smriti Zubin Irani presented ‘Shilp Guru’ and National Award to Master craft persons at a function held at Raipur, the capital of Chhattisgarh. Eight ‘Shilp guru’ and 25 National awards were presented for the year 2016.
ii. Shilp Guru’ is the highest award in the Handicraft sector in India. The handicraft export has witnessed a year-on-year growth and in the last four years, handicraft items worth Rs. 1 lakh 26 thousand crores had been exported from India. i. Sardar Singh has announced his retirement from international hockey. He made the decision after a disappointing Asian Games where India failed to defend their title and had to settle for a Bronze medal. ii. The 32-year old player made his senior debut for India against Pakistan in 2006, and since then played over 350 international matches, captaining the team for eight years. · Sardar Singh has received the Arjuna Award in 2012 and Padma Shri in 2015.